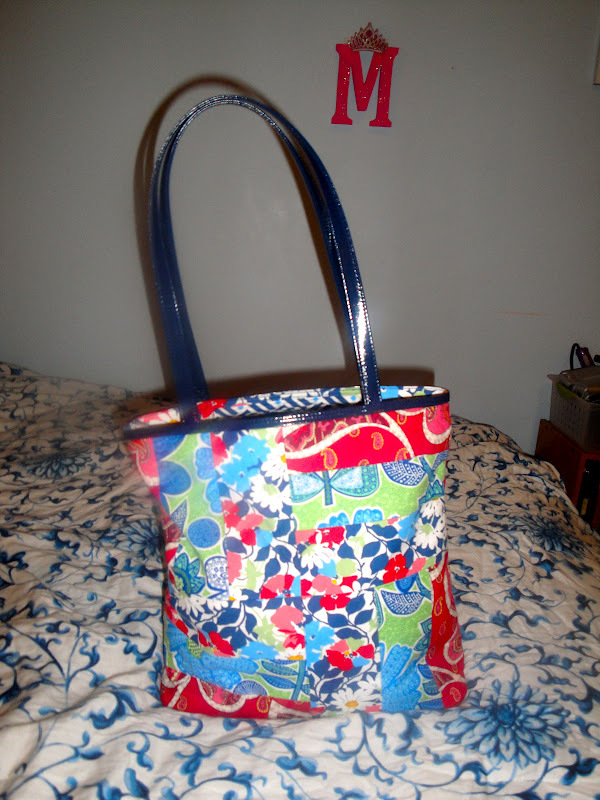 First, check out the beautiful Vera Bradley bag I bought the other day at a local store! 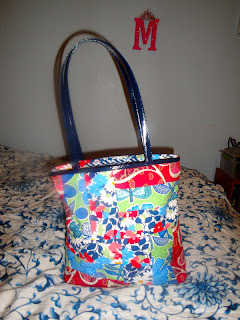 The pattern is called Summer Medley and I think it's to die for! I saw this bag and knew that I needed to have it despite the fact that was not on sale! On Saturday I went shopping with my mom and bought a ton of things! We stopped at Staples, JcPennys, and Pier 1! Our first stop was Staples where it was Teacher Appreciation Day. I was so excited because my mom has a teachers rewards card even though she is retired and she did not want the bag or items inside so by default it became mine! I also got really excited by the Martha Stewart office and organization supplies which I WILL be back there to get more! I bought a small accordian folder which I am going to use to keep all my recipes organized. I also bought a notebook, recordable DVDs, and a few gift cards for Christmas gifts. Next, was JCPennys where I bought a shirt not shown in the above picture and the pink flowered sandals for $12!!! What a deal. I love them and was so excited. Last but not least was Pier 1. I contained myself a little bit in this store instead of going nuts with all the fall decor. I would've loved to have bought more but I don't want to rack up my credit card when I don't actually have a house to decorate yet.... so I bought the little scarecrow who is SO cute. I also bought some ghoul goo (hand sanitizer) to keep in my purse all October. I also bought another Christmas gift which I can't share in case that person stumbles across this blog because they will know it's for them!